THIS ITEM IS FOR ADULT. 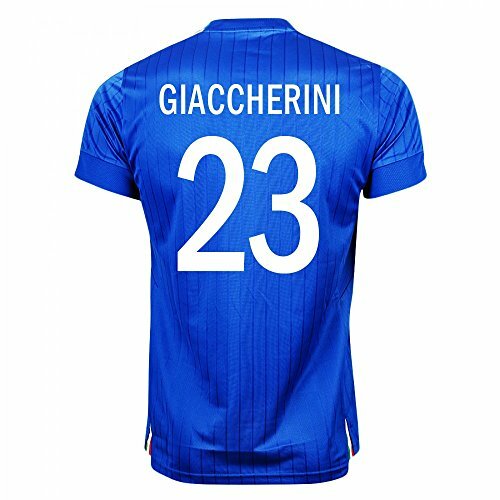 Compared to the last few Italy Jerseys, the new Italy Euro 2016 Kit features a lighter shade of blue for the base, which is combined with gold details. The new Italy Kit comes with a standard crew neck, while the front and sleeves feature jacquard-printed pinstripes. Golden details are present in the form of thin lines running down the sleeves as well as trim on the inside of the collar.